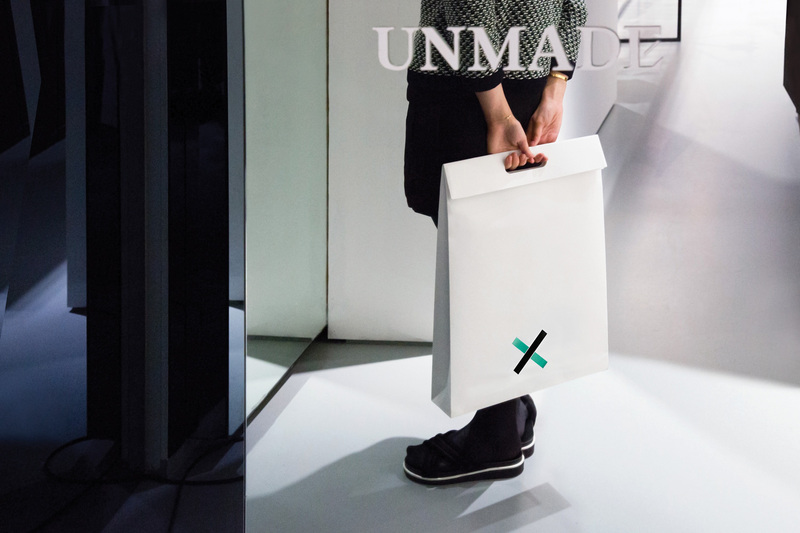 Unmade is the antidote to monotonous mass produced fashion. The company offers a bespoke knit service to the world’s most innovative brands that allows individual expression and customisation. 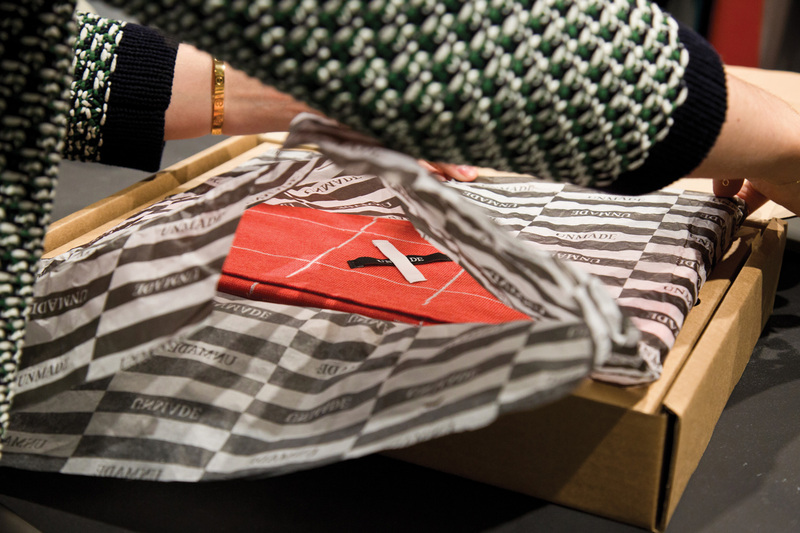 For a company that doesn’t conform to the norm, it was imperative that their e-commerce and retail packaging matched their strategy and approach. Bibliothéque were enlisted to create their brand identity and collateral, and Progress to manufacture their range of packaging. 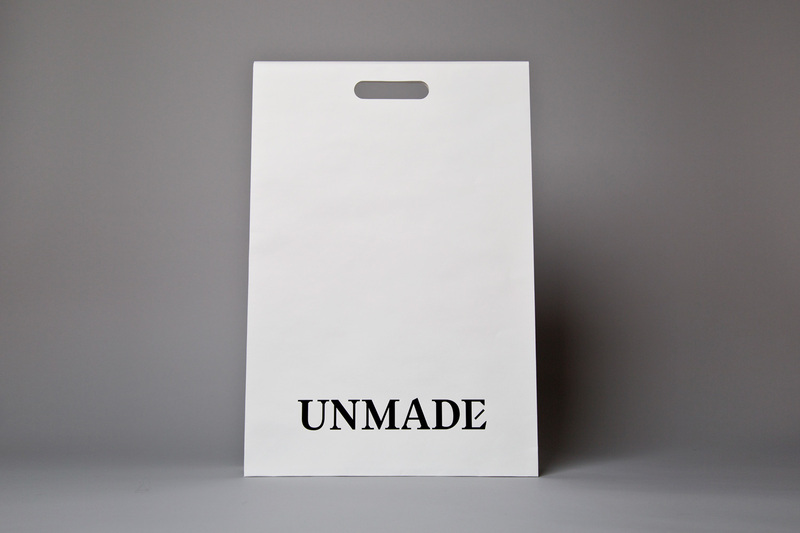 These unique retail paper bags are made from 170gm white Kraft Paper with a black gloss foil logo applied to the outer. 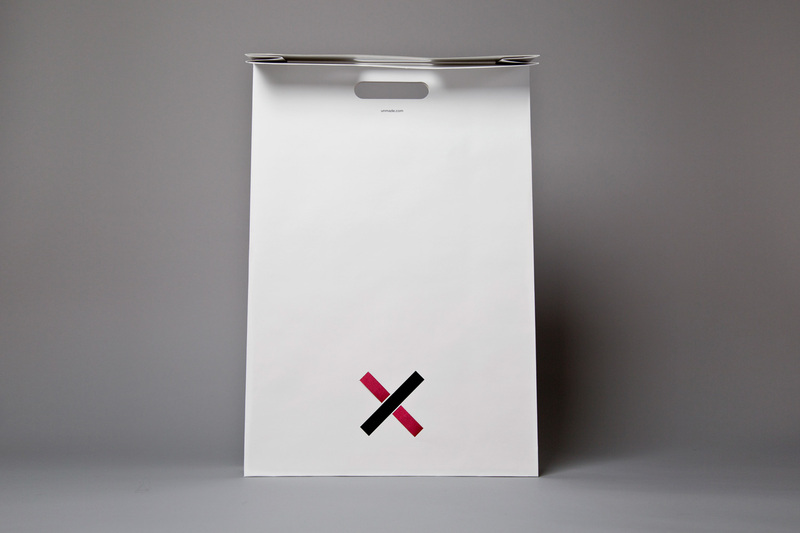 To secure the ribbon cross branding feature in place, the bags were reverse die-cut with angled slits to enable the material to be threaded through. The handles were formed by die-cutting through the double folded paper, adding extra strength and rigidity. 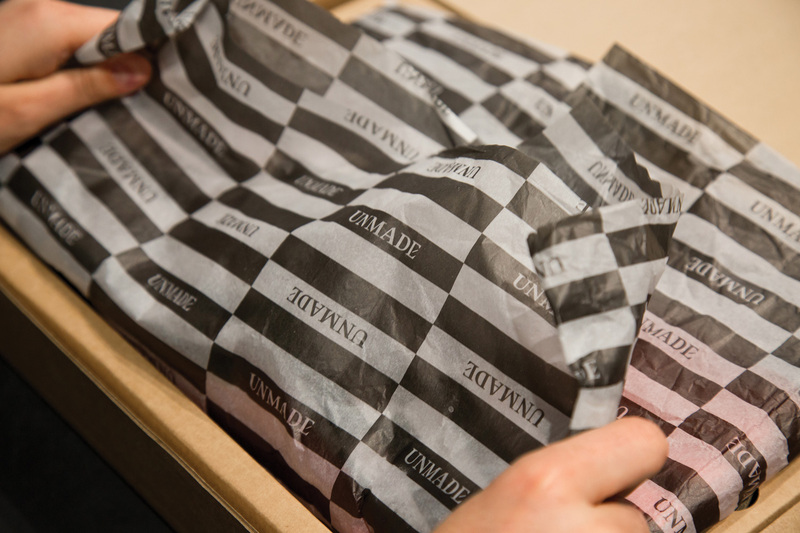 To wrap the knitted garments and add a luxury element to the retail experience, we printed a 17gm tissue paper that was repeat pattern branded with the company word mark, using black ink on white paper. For e-commerce packaging, we produced mailing cartons in B-flute corrugate, which were also screen printed one colour.